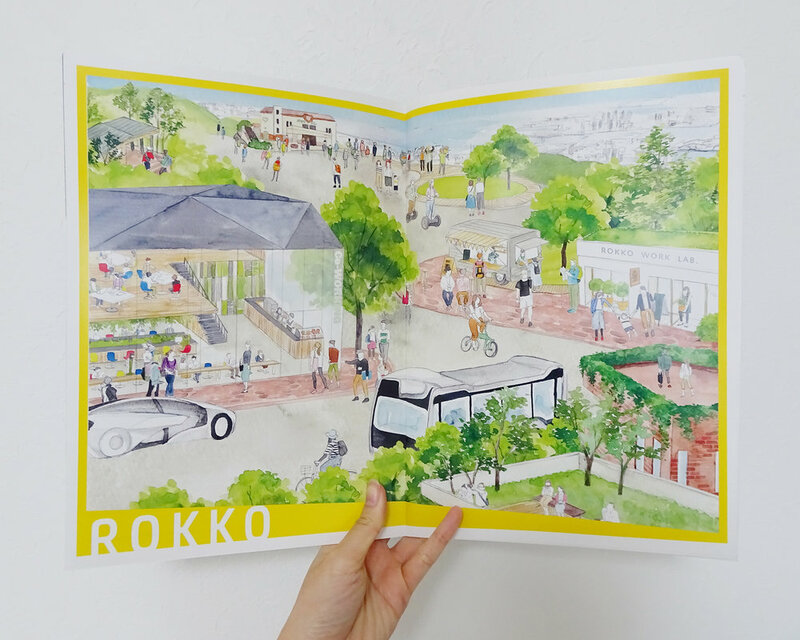 Designed by KOBE Design Center. 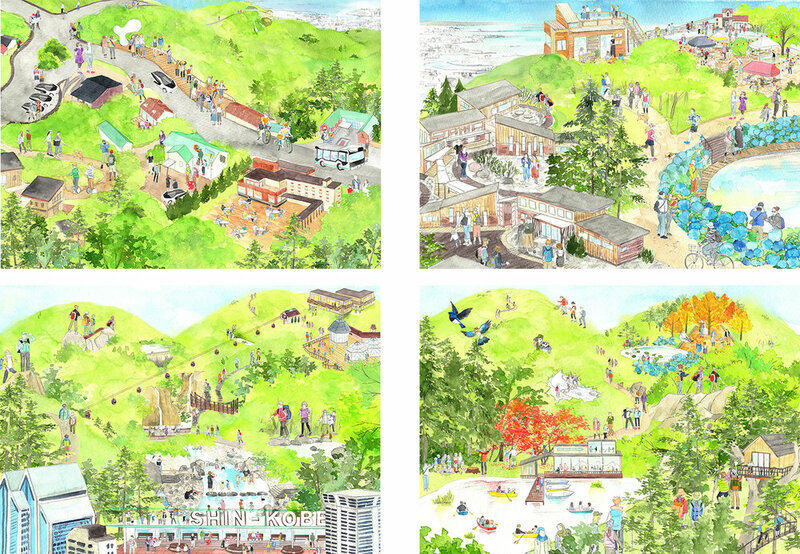 I divided the four areas on Rokko Mountain into five pieces and drew them for each feature. Copyright ©︎ Isshiki Mayumi, All Rights Reserved.